The recipe is below, but first, a few valuable links for food history nerds. 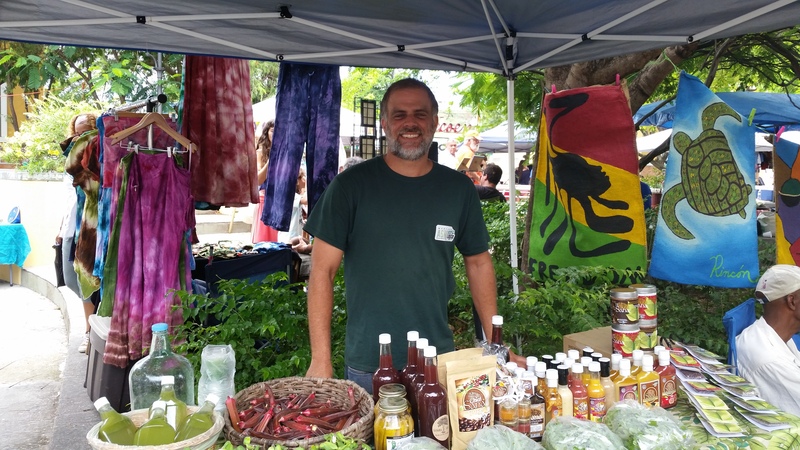 The Productos Sana farmer, Javier Blondet (co-owner with his wife Sonia Carlo) at the farmer’s market in Rincón. Can you find the red okra? 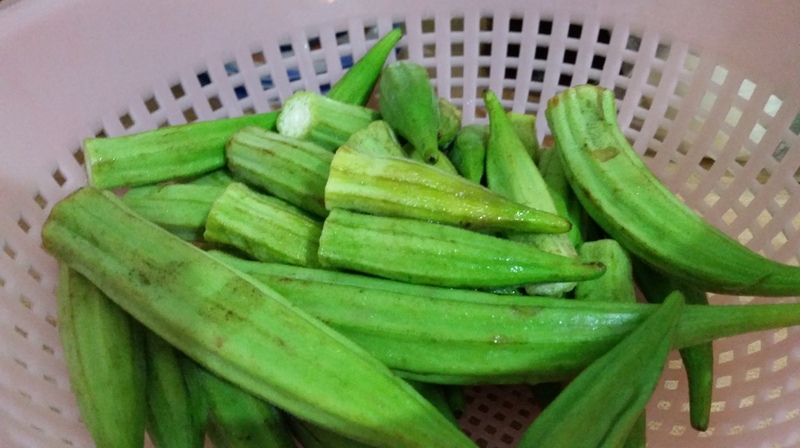 The history of okra fron Texas A&M Agricultural Extension. 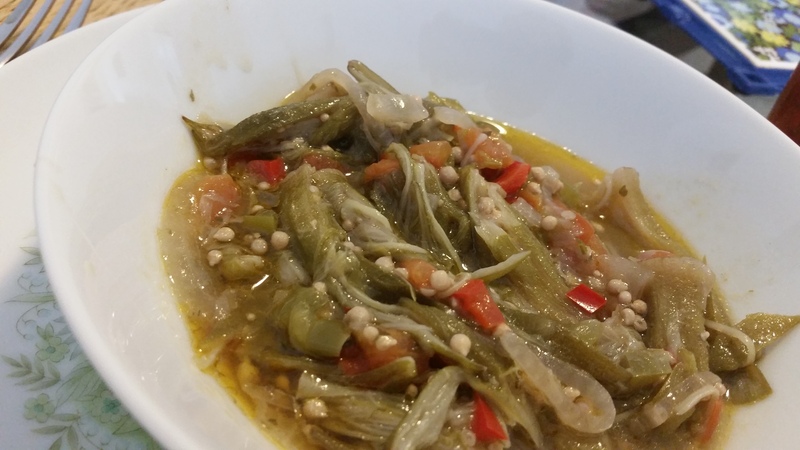 The Southern Foodways Alliance has a nice little history of gumbo that refers to okra and that I find very helpful. The Number One expert on the foodways of the African Diaspora is Jessica B. Harris. I have interviewed her as a source for articles and she is just wonderful. More on Ms. Harris here. Heat the oil and sauté all ingredients but the okra, water and salt until tender and fragrant. 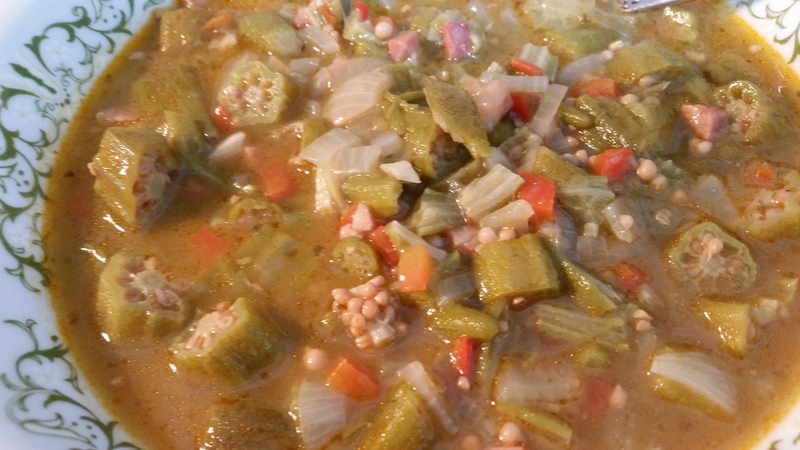 Add the okra and water, bring to a boil, then lower and simmer for 20 minutes. 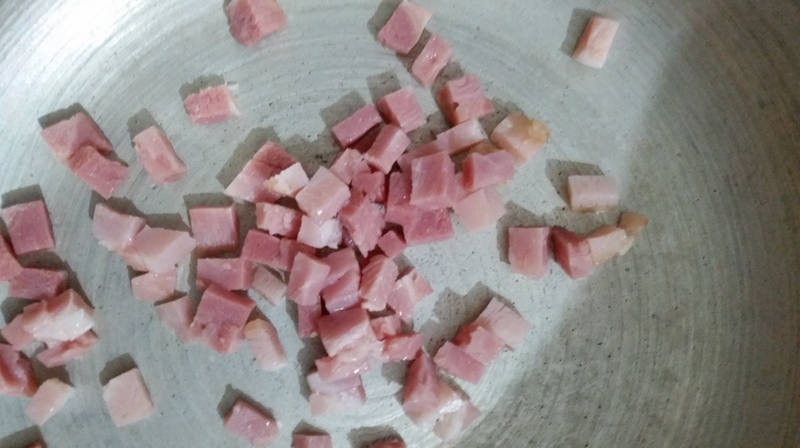 Salt to taste and serve with white rice. Natalia, Thank you for your great recipes and supporting local farming families.. 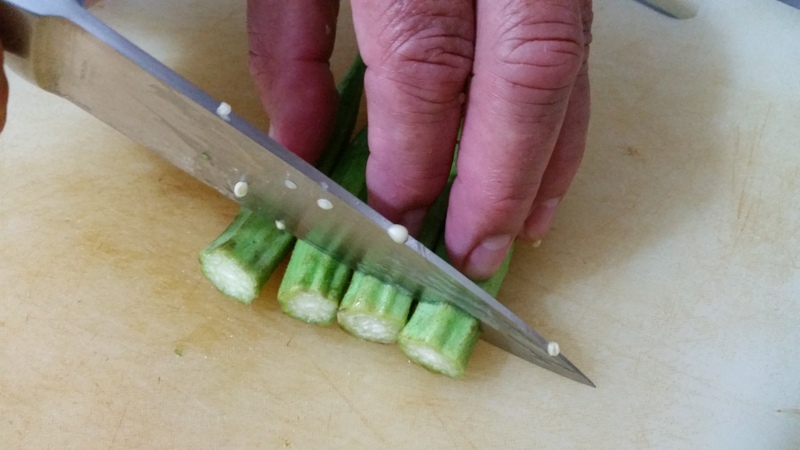 I do like the history, but when it comes to okra I’ll take mine fried. That’s where I want to go next…let me know if you have a favorite recipe! It is simple and nice. i am really looking forward to frying it. And an Indian colleague of mine keeps promising to show me her bindi masala recipe…. You are so welcome! Can I come for a visit?